This wedding was so spectacular. I had so much fun desinging their wedding album. 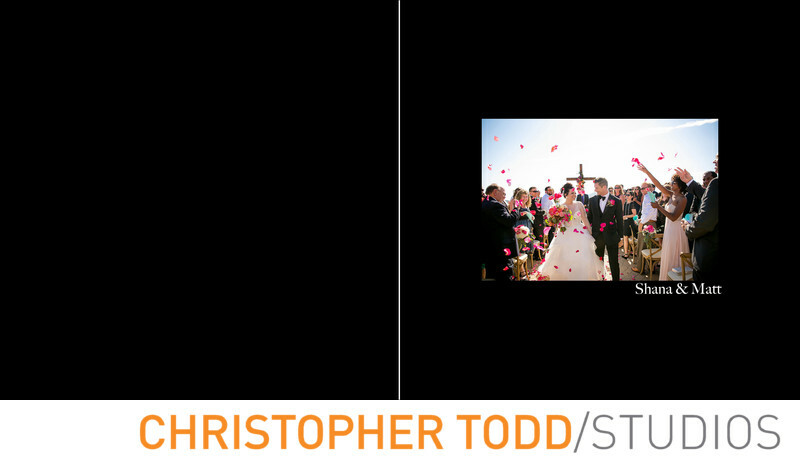 We chose this portrait of the bride and groom walking down the aisle just after they said I do. With rose petals in the air and the wedding guests in the background. Making it a perfect photo for the cover of their album. Location: 340 Kanan Rd, Malibu, CA 90265 .